Our oversized solid cookie cutter is made by hand in Arkansas - exclusively for us. 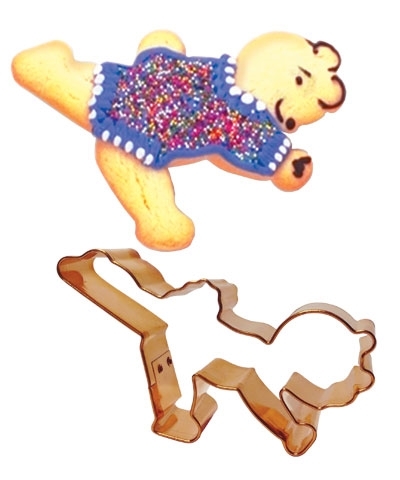 The Ten.O teddy cutter will surely delight any young gymnastic cookie lover. They make big beautiful cookies approximately 4"x5".